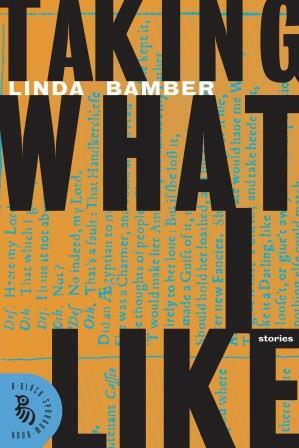 I reviewed Linda Bamber’s short story collection Taking What I Like over at All Things Girl earlier this morning. I loved the book so much that if I were a student at Tufts, where the author teaches, I would camp out over night in order to sign up for her class. At turns hilarious and poignant, bitter and sweet, but always based in a place of truth, Bamber turns familiar works upside down and lets us see well-known characters to a filter of modernity. The first story in the collection, “Casting Call,” gives us all of the familiar characters from Othello – including a Desdemona who remembers having died – and turns them into the English department faculty in a small university (though it could be worse, Desdemona points out: the characters from Measure for Measure run the political science department at a school in Ontario; at least the Othello crew is in their creator’s field of study. ), arguing over hiring diversity and creating new and different romantic liaisons.